WANDERLUSTRIC: 10 travel websites you need to know about. 10 travel websites you need to know about. This time is probably the easiest time to travel in the history of the world. Travel websites and apps make the easy easier. I've come across so many websites and apps that are just so brilliant that i feel like it would be almost sinful to keep them to myself. 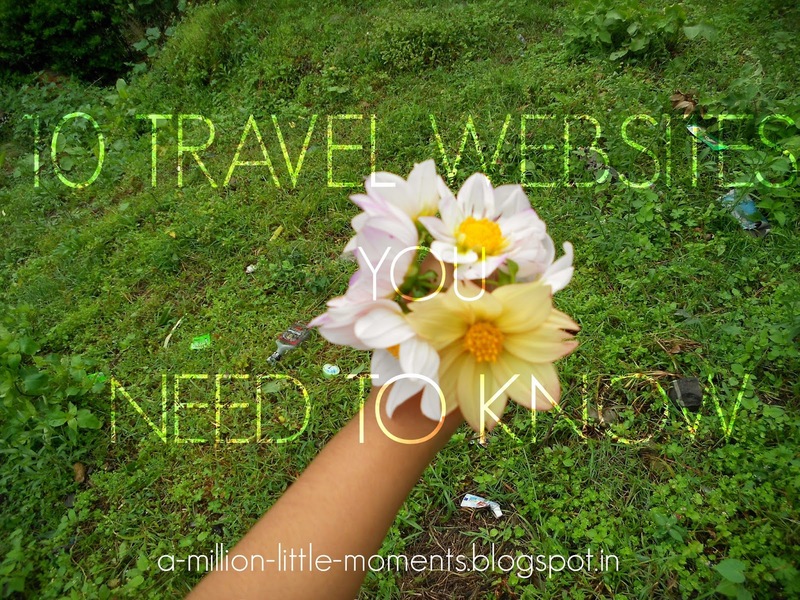 So here are my top 10 travel websites seriously worth bookmarking. Rome2Rio has literally saved my life as well as several others. You basically enter your current location and your destination and it gives you the cheapest way to get there and the fastest,listed accordingly. They also figure out how much the flight will cost or how much petrol you will need if travelling by car. Transport isn't the only thing they excel at, they also have accommodation and rental cars. Genius! Another must for budget travelers. They describe themselves as a social travel network for budget travelers. They basically let you stay with locals for help,money or for free! The help is some sort of volunteering work. This is a great website if you want to mingle with the locals and truly experience a city like a local. Trivago is the website for hotel booking, anywhere in the world. Their mind blowing deals are gasp worthy and it's a great forum for reading other peoples reviews on the website as well as their experiences. You can also filter the results according to your preferences, suppose free wi-fi is your top priority, they list down the cheapest hotels with free wi-fi and great reviews. Hotel booking doesn't get easier than that.Another thing that i have to mention is that they give prices according to your currency which sounds like a small thing but makes life a lot simpler. Last Minute is the perfect website for people who love luxury travel for half of the price. Who am i kidding? Everyone would want luxury travel for half the price! LastMinute lets that dream come to life. Staying true to the name, they have the best last minute hotel booking deals available on this planet. Trip tuner is the ideal website for the confused traveler. What they do is filter your preferences and wants and suggest the best locations for you. Suppose you want high relaxation and only adults and the beach,they give you a slideshow of suggestions according to your taste. They fine tune the results specifically for you. SkyScanner is another must for cheap flights. It lets you compare the flight prices and and lists all of the airways, stopovers and of course, prices. SkyScanner is everyone's favourite, why wouldn't it be? AirlineMeals is the website you go to when you've researched everything else about your flight and you're left with only the food. As the name suggests it informs you about the airline meals from whichever country. It's been a while and I still can't get over the fact that this exists. Airhelp is truly a life saver. Everyone is a bit phased when it comes to flight rules. Luckily, this website exists. They also help win you back your money if the airline screwed up or didn't let you board the plane. Airhelp is the best. The best currency converter in the whole world. Travel blogs are by far the best way to find out where to go, how to go, where to stay, for how long and so on and so forth. Travel blogs are your best friend, share them with the world! The best bit about them? They're completely free with honest and non bias opinions. I hope this helped you! Feel free to bookmark this page, indirectly bookmarking all of the above. Please leave us a comment, it means a lot!